Looking for a little something for just the two of you. Ideal for couples or a small family. Merrigang is centrally located with the added bonus of being at the rear of the complex for a quiet and private stay. 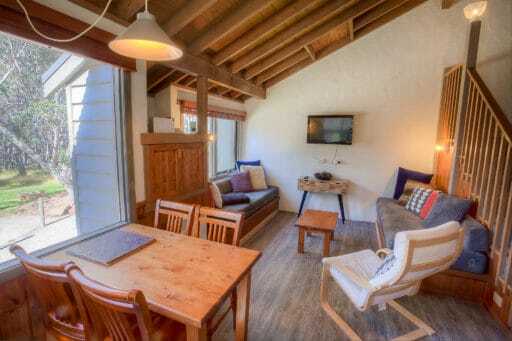 One bedroom with a queen sized bed and a landing with sleeping for 2 additional guests in a set of bunks. Merrigang has all living space of kitchen with Microwave, fridge, upright stove and sink, a small dining area and lounge all on the ground floor. Beautifully presented apartment in the center of the village is perfect for the small family holiday or for a couple. The ground floor has comfortable living area, combined with the kitchen and dining facilities. Stairs lead up to a landing with a set of bunks on the mezzanine and a queen bedroom. Sleeps 4. This is luxe couples living in the hub of the Village. 2 bedrooms with queen sized beds and 1 bathroom. Lounge area includes electric faux fireplace heating. Comfy living furniture and full kitchen. 1 TV in the living and the Kitchen, Dining and Lounge are open plan with great views over the Reserve at the rear of the apartment. Apres is luxe living in the hub of DP. 2 bedrooms with 1 x queen sized bed and 1 x King sized bed and a "jack n jill" bathroom, this self contained apartment is suitable for up to 4 guests. 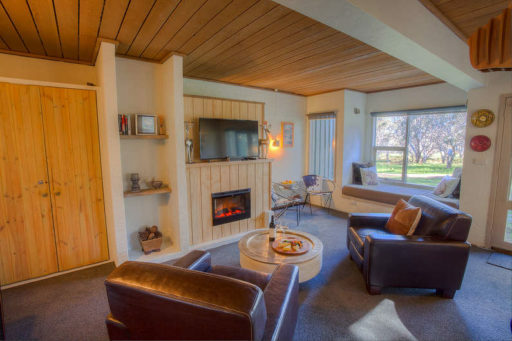 Lounge area includes electric heating, couches and full kitchen with quality appliances. 1 TV in the sitting area and a second TV in the king sized bedroom. Open plan Kitchen and Dining. This superb apartment also has a sun drenched wrap around balcony that can be accessed via the lounge. 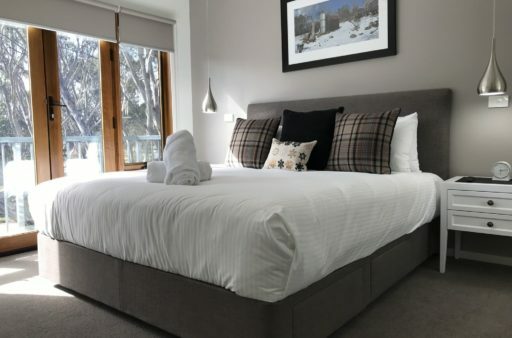 The chalet is ideal for two people and has been recently renovated to ensure your stay is comfortable, whilst still holding the endearing qualities we have come to expect of McIntyre's work. 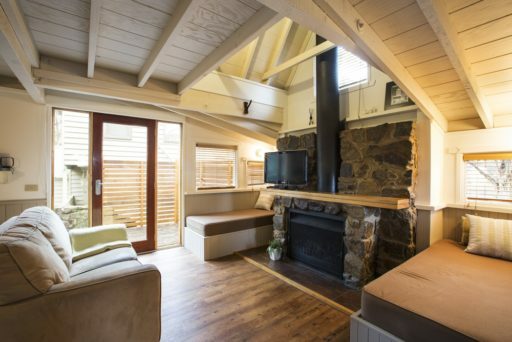 With exposed beams and a large open fireplace, Diamantina provides a cosy atmosphere perfect for a romantic weekend away any time of the year. 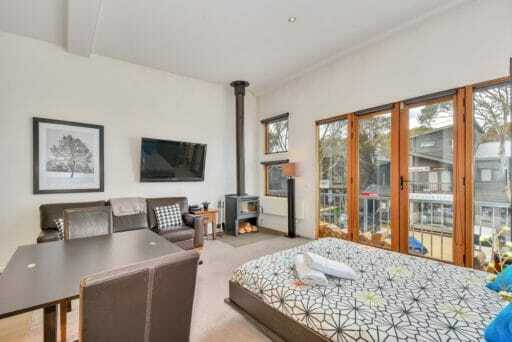 Modern stylish 1st level studio apartment in the heart of Dinner Plain. 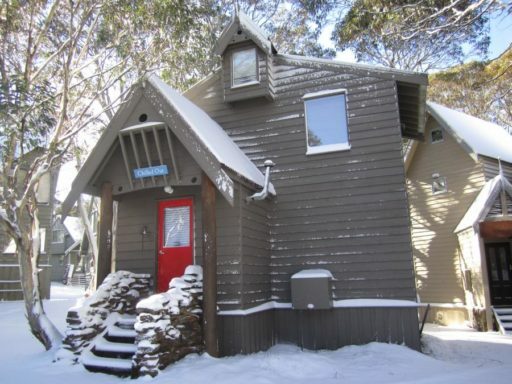 Features compact well equipped kitchen, large bathroom, open plan living and a small deck looking out onto the main street. 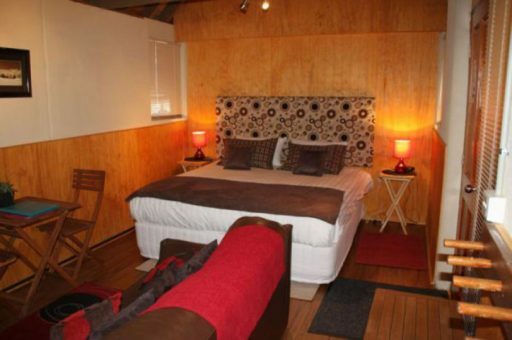 Perfect year round accommodation for couples. This well appointed Studio apartment with wow factor is located in quiet part of the village. Perfect for the couple looking for 'something special'. 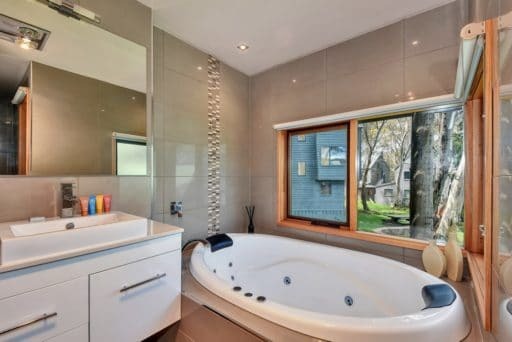 Has limited kitchen facilities and a full modern bathroom. 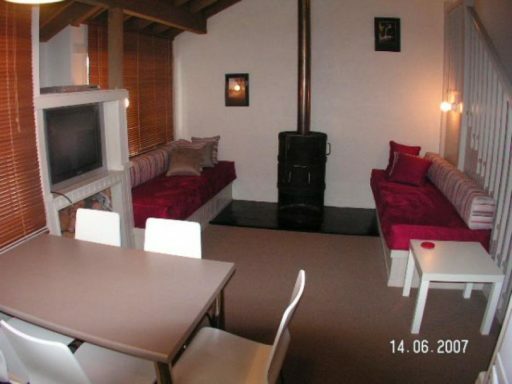 There is also a couch, TV and DVD player, table & chairs.